Our range of plus size pajamas will make you want to stay in bed all day. Go for a matchy-matchy look with cute pyjama sets, our mix and match your favourite tops and pants. Comfortable and stylish, our selection is filled with bedtime must-haves. 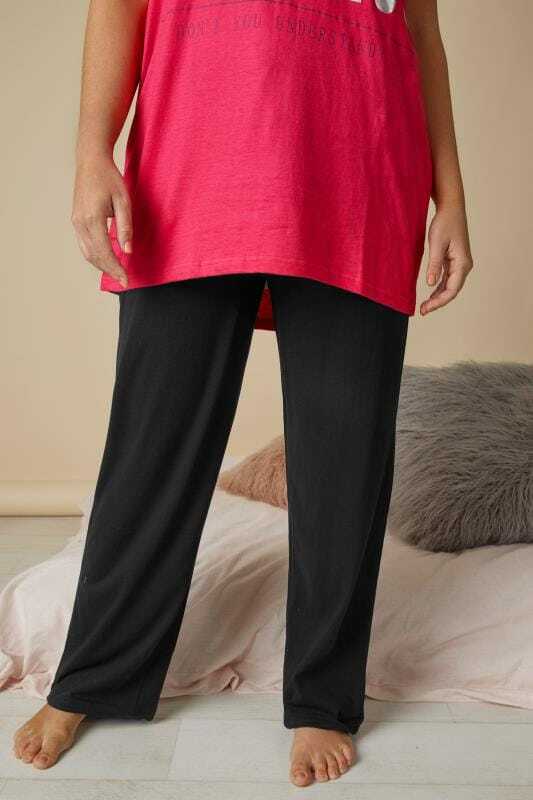 Update your slumber style with our new range of plus size pajamas. Cut from soft cotton fabrics, the collection is ultra-comfortable to keep you cosy all throughout the night. 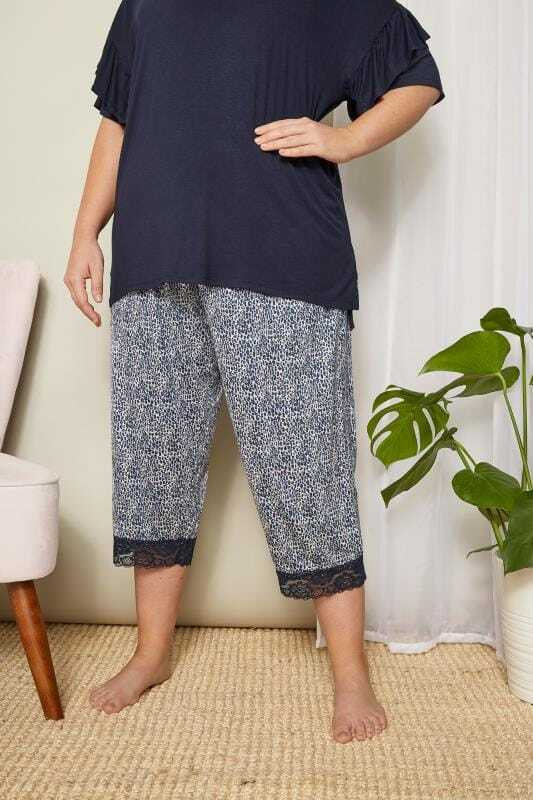 Featuring a range of styles from short pajamas, long pants and sleepwear sets, you can be sure to find your perfect plus size pjs. Why not try accessorising with a pair of our snug slippers or a cosy nightgown? With ever-changing temperatures, short pajamas are an essential for your sleepwear collection. Made from breathable cotton fabric and featuring elasticated waistbands, they are sure to keep cool and comfortable all-night long. Match them with a slouchy printed t-shirt for the ultimate sleepover style. Cuffed, cropped or regular fit, we offer a variety of different plus size pajama pants. In super-soft jersey fabrics and relaxed fitting styles, they are a great addition to your sleepwear collection. 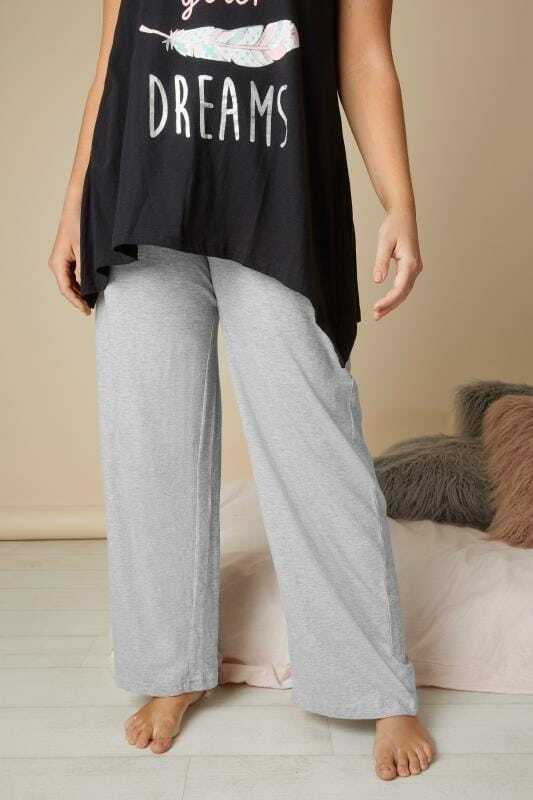 Team cute printed pants with a catchy slogan tee for a chic sleepwear set. If you’re looking for matching items, then our plus size pajama sets are a fantastic option. With printed tees and complimentary patterned pants, we have plenty of styles for you to choose from. Offering a variety of different designs, prints and patterns, you will have plenty of sleepwear choices to help give you a great night’s sleep.